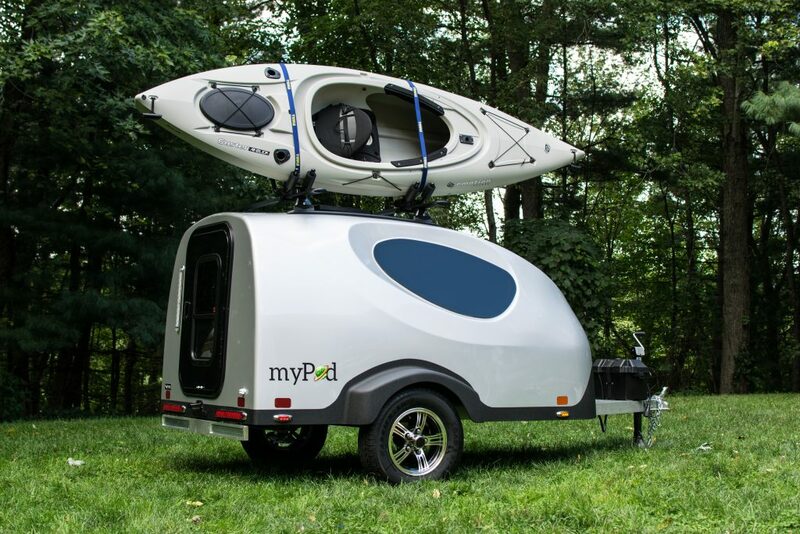 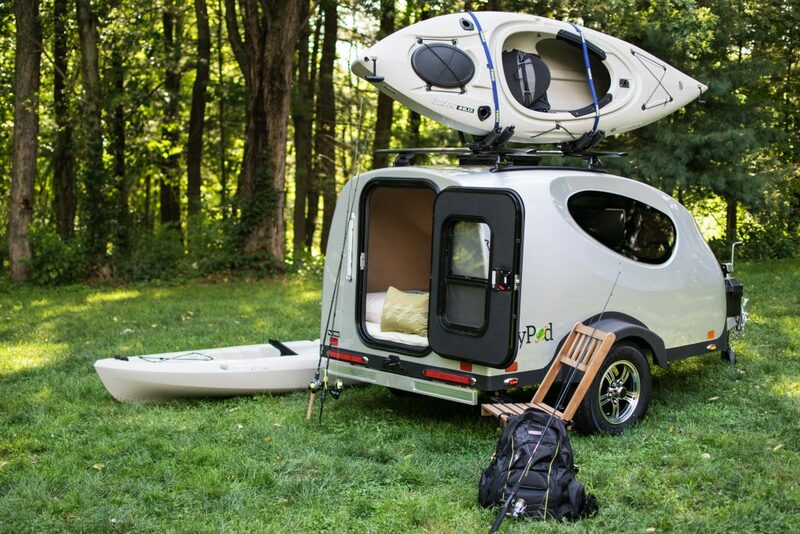 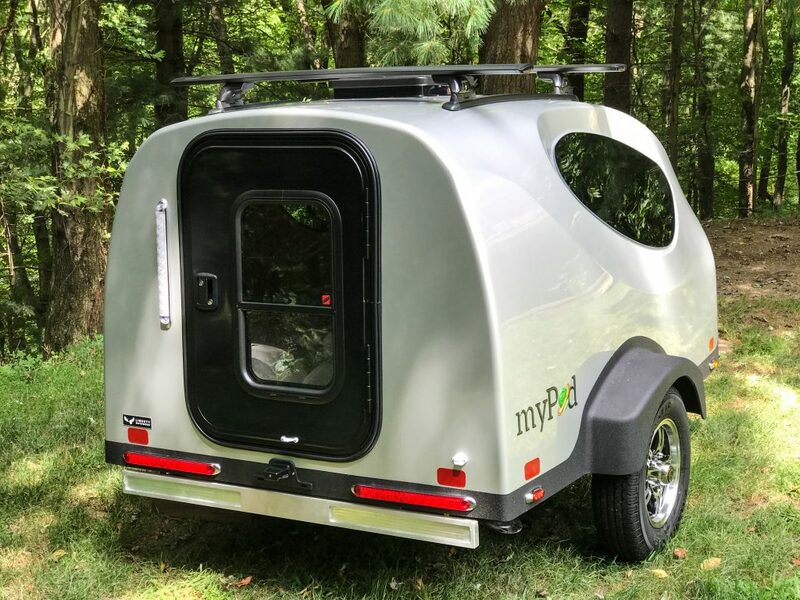 The MyPod is a 100% fiberglass molded body on an aluminum frame. 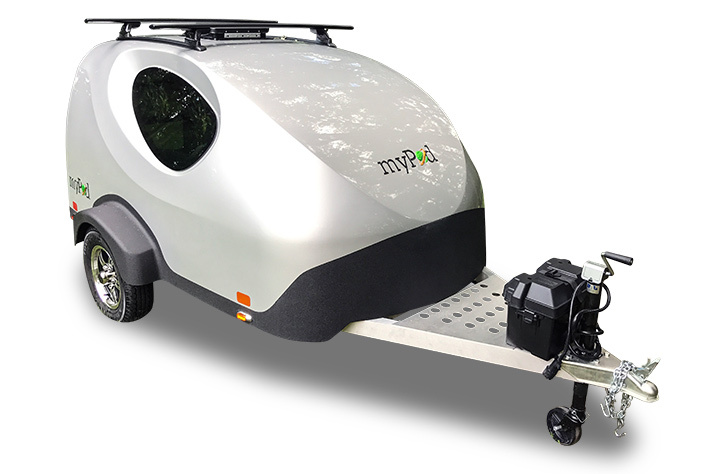 With a dry weight of 630 ilbs and tongue weight of just 110 ilbs, the MyPod is a perfect for smaller towing vehicles and still packs a ton of great features. 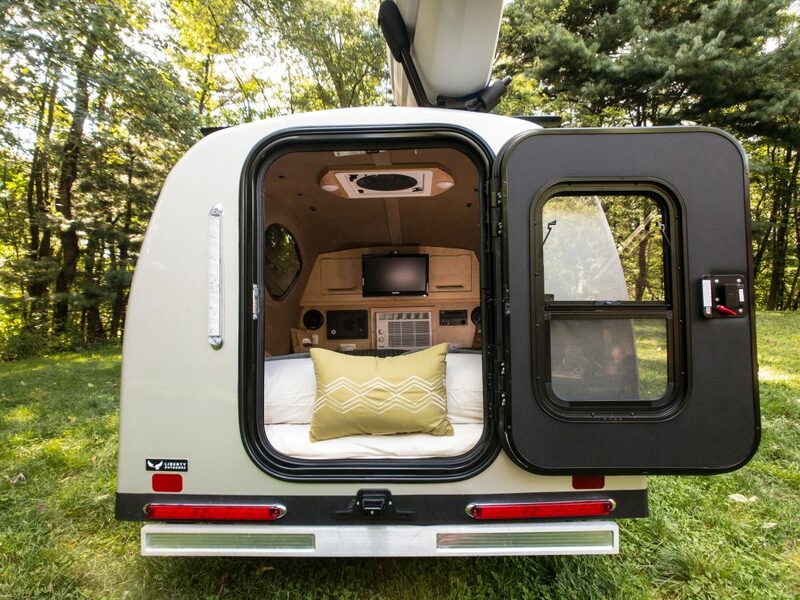 Choose from white, silver black, blue or red. 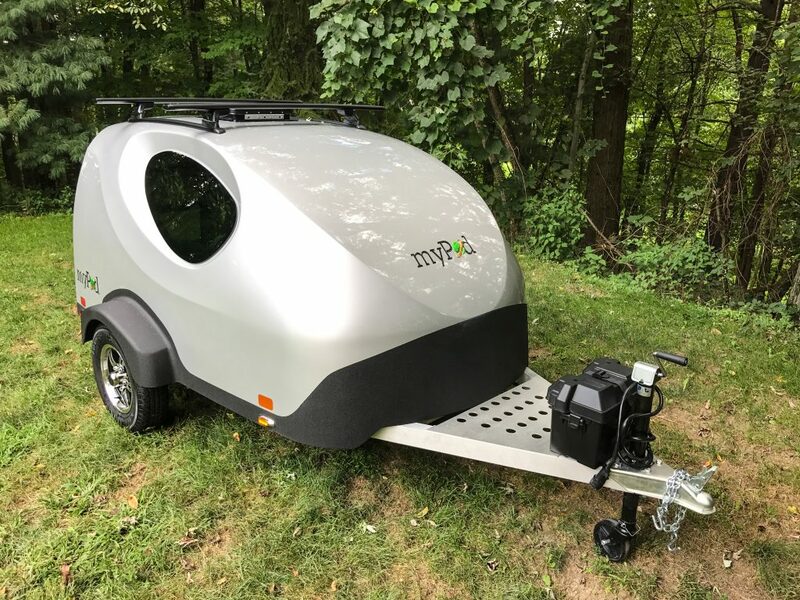 Includes Full/Double size bed. 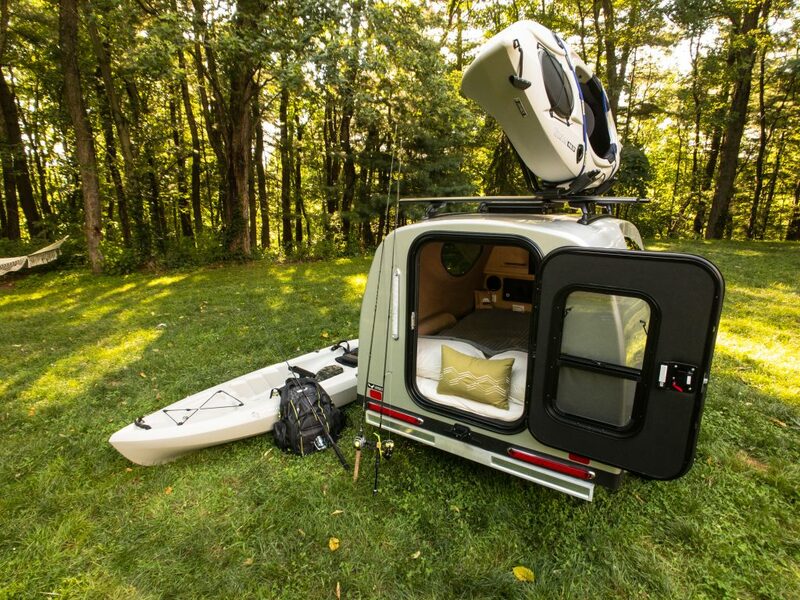 Fender to Fender Width 72"
Mattress Size 52" x 76"